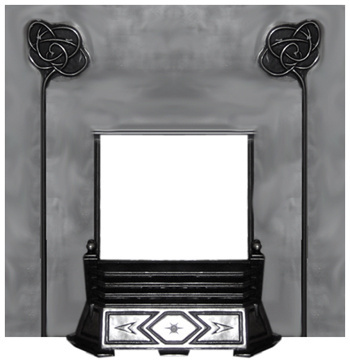 Cast Iron Fireplace Surrounds form a frame for the fireplace opening and provide a hanging mechanism for a coal grate. 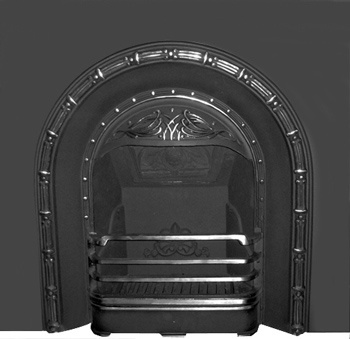 They became popular in the mid-1800's on coal burning fireplaces and remained in style until the 1930's. 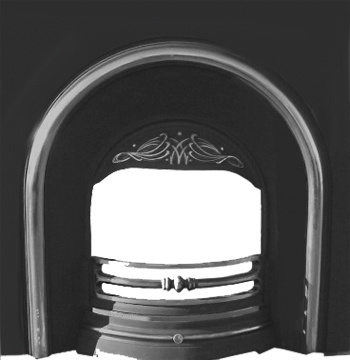 We carry both London and American style cast iron surrounds; the London styles are reproductions while the American styles are usually antiques. 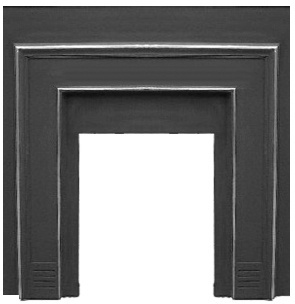 The London styles are simply too tall to retrofit most American fireplaces so they're best used for faux fireplaces or in new construction of masonry fireplaces where the homeowner can specify the fireplace opening size unless the description says "flat on back". 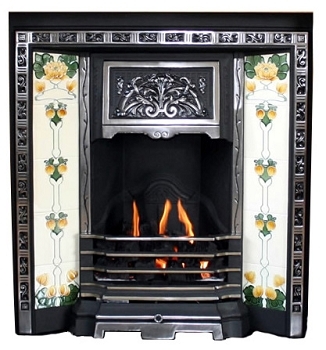 The American styles are most often used for restoring an old fireplace or for creating electric or faux fireplaces. 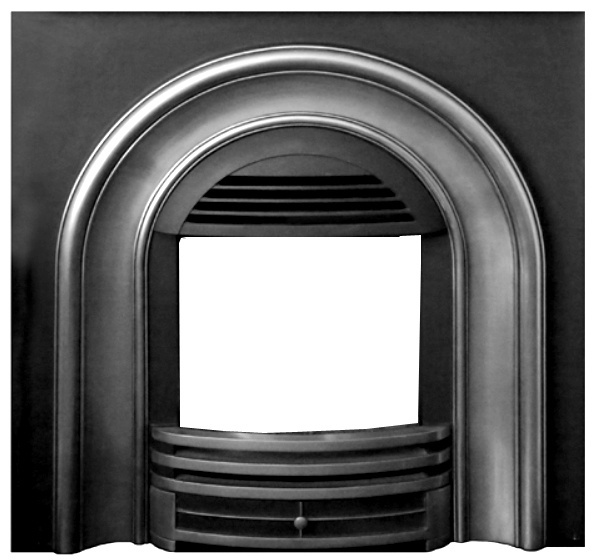 Both styles have small opening widths, as they were made to fit small coal burning fireplaces. LONDON STYLE surrounds have a nominal outside dimension of 37" - 38" square. 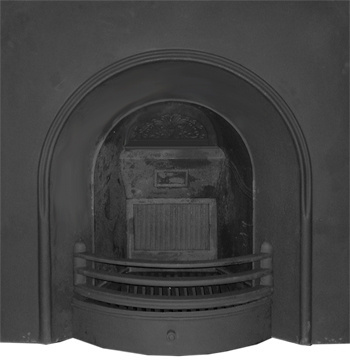 They most often had a cast iron firebox with a built-in damper, a raised slide-in grate for the coal to lay on and an ash cover which helped keep coal ash from blowing into the room. 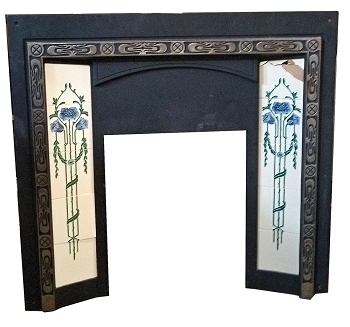 Mantels were designed with a nominal 36" x 36" opening so that the mantel OVERLAPPED the 37" x 37" plate. 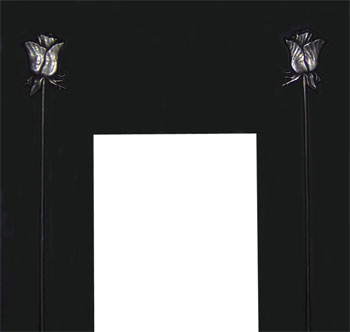 AMERICAN STYLES deviated to having a smaller cast iron surround that simply frames the opening. 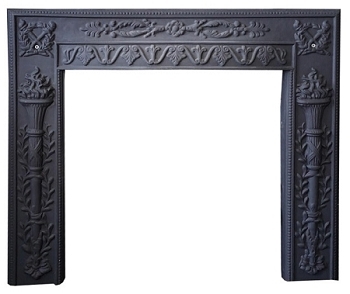 Where Londoners saw black cast iron completely filling their mantel openings - sometimes in highly decorative designs - American fireplaces commonly had tile, slate or marble faces visible between the smaller cast iron frame and the interior of the mantel. The frame had hooks that hold the coal grate and usually an ash cover as well. 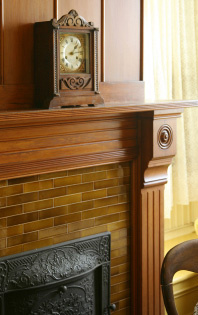 In addition, American styles usually included a summer cover to close off for the fireplace when it was not in use, thereby serving the purpose of a damper as well.